The Department of Information Technology, Intellectual Property and Entertainment of DiG Lawyers has prominent lawyers specialized in these matters. The Department is divided, mainly, into four specialized areas of practice: (i) Data protection, (ii) Information Technology, (iii) Intellectual Property and (iv) Entertainment; a team of lawyers with consolidated experience and knowledge in the legislation and practice concerning their corresponding area is dedicated to each of them. The Area of Data Protection, always very active and booming since the entry into force of Regulation (EU) 2016 / 679, of the European Parliament and the Council, General of Data Protection (RGPD) and the Organic Law of Protection of Personal Data and Guarantee of Rights Digital (LOPD), has been a real revolution in virtually all business and legal fields. Advice on the adaptation to the RGPD and the LOPD in all types of aspects of personal data protection, such as the control and privacy of workers, customers, users, suppliers, etc. Data Protection Audits and design of compliance plans, impact evaluations, policy design Privacy by Desing or by Default, repositories of evidence and implementation of organizational measures, as well as all kinds of actions before the Data Protection Agency and other competent authorities. Drafting and development of documents relating to the protection of personal data such as contracts for processing, security documents, privacy policies or guarantee and liability clauses. Act as Delegate of Data Protection external (DPO - Data Protection Officer), as guarantors of compliance with data protection regulations in organizations. 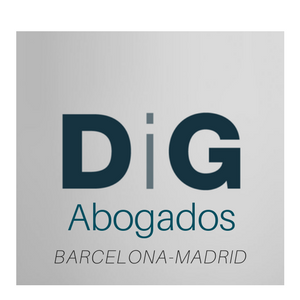 The Information Technologies Area (Technology, Internet and Electronic Commerce) of DiG Lawyers It provides its services to clients in different sectors such as e-commerce, Internet, the software industry and in the commercialization of databases, as well as in all those sectors that need specialized advice in relation to the protection of their intangible assets and the e-commerce activity. In general, the Department offers its clients specialized advice in the negotiation of contracts, conflict resolution, protection of property rights and exploitation strategies on an ongoing basis. Our goal is to always offer our clients global advice in these specific sectors, providing services not only in the procedural field, but also in day-to-day counseling, avoiding judicial procedures and speeding up negotiations. The extensive experience of the lawyers dedicated to this Area focuses on providing practical solutions and advising companies in each of their steps. Since the establishment of the company, offering advice on the design of its contractual structures for the best protection of its intangible assets, to day-to-day work, drafting contracts, participating in negotiations or potential conflicts or litigation that may arise in this regard. . Advice and legal and contractual support national and international in contract of computer development, turnkey, maintenance, outsourcing, joint-ventures, time & material, NDA, MOU, strategic consulting, contracts of Hosting, Housing or Collocation, supply of Contents , Conditions or Service Policies for Users, Online Provisioning Contracts for Applications (Apps) and Services. Design and writing of models of Use and Privacy Policies and notes and forms of the LSSI. Advice on consumer protection in the field of distance selling and electronic auctions. Proposition and adoption of website protection measures, as well as, registration of multimedia works and designs of Websites before the Registry of Intellectual Property, Escrow or Safe Creative. Advice on the control of intellectual property rights over the contents of the Websites and in clarifying the doubtful situations that arise around them. Advice to Providers of Services of the Information Society in matters of responsibility and obligations that concern them according to the LSSI and other application standards. Legal advice on Cloud Computing, Big Data, Blockchain, Internet of Things and Social Networks, etc. Planning of general and specific strategies to secure and protect existing intellectual property rights over software products and databases, as well as hardware, system architectures and semiconductor topographies. Development and negotiation of any agreement regarding software products and databases, such as License and Maintenance Agreements, Support Agreements, Development Agreements, Deposit of Source Code, Distribution, Implementation agreements for information systems development , outsourcing, outsourcing, Joint Venture or Collaboration in offers and responses to RFP's. Intellectual Property Registries - Safe Creative. Copyright, publisher, producer, artists, software and database manufacturers. Protection and defense of works: audiovisual and phonographic recordings, computer programs, computer applications. Contracts of literary edition, production, commissioning of works. Protection of web pages and related contracts. Advice on the creation, management and maintenance of portfolios. Record and use feasibility reports. Registration procedure for national, community and international brands. Defense of brands, oppositions and resources. Negotiation and drafting of contracts of assignment, license or merchandising and joint venture. Audiovisual recruitment (actors, scriptwriters, direction, audiovisual production, executive, etc.). National and International Productions and Co-productions. Image rights, protection of honor and privacy. Advertising, Merchandising and Sponsorship. Product Placement and Branded Content. Preparation of promotions, competitions and raffles bases, as well as the authorizations and administrative procedures necessary for its celebration.